I weighed in at 146.6kgs this morning and last night my sister in South Africa told me that they're on their way to the Argus in Cape Town, which her husband takes part in every year. So, spur of the moment I jumped on Trade Me and bought myself a cheapy "Giant Roam 1". Collecting the bike this morning and I'm guessing there's some hard times ahead for me!! I know, the bike might crumble under this weight on the first ride and whatnot, whatnot. But I'm gonna give it a go. Not looking to take part in the Argus or anything similar, but just want to commute around Auckland depending on where I'm contracting at the time and eventually do 50 - 100km rides over weekends... eventually. So, partially I just wanted to introduce myself, but would also appreciate any advice for a big unit to get going. The roam is probably going to be totally fine under you, But get the wheels checked out for spoke tension etc now and every few months. You'll be giving them a hard time. 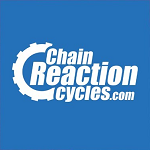 Find a good bike mechanic that cares. They do exist. Remember that you can change seats, handlebar grips and pedals if you find them uncomfortable. Nice stiff shoes help too. 1) A little, often, is better than a lot, in one hit - Take it one day at a time. 2) Set yourself up for success by making sure you enjoy it. 3) Don't let setbacks, or missed goals put you off - Just learn from them, pick up, and roll on. 4) A bit further down the path, take the time to look back - You may surprise yourself. Keep us updated on progress (and setbacks), and don't be shy to ask questions. The Strava heat maps can also be useful for identifying best commuting routes etc. I find the western (CBD out to Te Atutu) and South Westernish (St Lukes down to Mt Roskil) cycleways great for getting a ride in, because you are almost entirely off roads, I ride in the evening without fear of death. First setback... that bike is too small for me. I cycled a total of 1.7kms on Saturday and it was not fun. Been down that path before and no amount of longer-stem or setback seat was able to fix it for me. So I've managed to sell the bike on TM for the same price as I paid for it and am now working with a bikeshop to get me sorted. They're getting in a Marin Muirwood XL to try out, hopefully by the weekend. I know that's cheap as far as bikes go, but it's still more than I was hoping to lay out on a "first" bike. Thanks for all your input. I went through all this maybe 8-9 years ago. Okay, I was 10kgs lighter when I started back then (and lost roughly 10kgs while cycling), but still took me months before i could ride any decent distance. Eventually though I ended up doing a 160kms (imperial century) ride while weighing 127kgs Took me 10 hours I think, but hey... Not bad, but took me 2 years or so to get there - and now I've got even more weight to contend with. EoinC, I like your suggestions - baby steps with regular progress works for me. big tyres are a little harder to push, but will protect the wheels a little bit. I would also consider a hart rate monitor and measure your rides by calories burnt. it is not an accurate absolute measurement, but is a good relative measurement of your progress for you. Yeah, just noticed the tire on the Marin is 700x40C, so that's already considerably thicker than I had before, which was 32 and I think I may have put 25s on there eventually. That even possible? The 40 is probably good for my weight, but going to be a bit harder work. Good idea on the heart rate monitor, I do like stats to motivate me. My TomTom Spark 3 watch does have a built-in HRM so I'll use that while I'm doing short distances. It's got a GPS so records your HR and everything else. I'll look at upgrading to an chest HRM once I start doing longer trips and the battery becomes a problem. Now I'm really eager to get started!! It's good to see the enthusiasm sneaking in there. Use that to overcome the occasional day where it all seems too hard. If / when those days do come along, try to record at least a token effort - It helps motivate when you are looking back at what you've done. Friends of mine liked using strava as an incentive. Getting their fastest times over a segment (eg part of their commute) pushed their buttons. Well, my journey so far has not been very successful. 2 punctures in the first 3.6kms!! 4 different guys at 2 different bike shops have said that I've just been unlucky, need to keep the pressure high, shouldn't jump down curbs and whatnot, but my experience is that heavy riders just get more punctures with the same tyres... So now I'm waiting at the shop while they fir Schwalbe Marathon Plus tyres to my bike. Not fast, but great against punctures. Also found that I'm way more unfit than I thought. When you took the glass out of your tyre the hole created by the glass could have pinched your new tube once inflated. I'm a similar weight and I don't have any issues with punctures. You're 140+kgs Nathan? Can't say I've seen anyone else my size on a bike in Auckland. Today on my short ride I heard 2 people at different times laughing out of their car windows as they passed me and I'm pretty sure they were laughing at this chunk of meat on 2 wheels. Good to know there' areother big guys riding out there. I am but also just over 6 ft.